If you have gone to your doctor, chiropractor or physiotherapist and have been diagnosed with a shoulder strain (i.e. : rotator cuff strain, impingement syndrome, etc) but you have been confirmed that there is no tearing of your tissues, you can perform the program below three times per week for 3 to 4 weeks to see how much progress you can make. Most shoulder strains are the result of weak shoulder girdle muscles. That is, the muscles that attach your shoulder blade to your thorax, when weak, cause the shoulder blade to move too much whenever you move your arm. 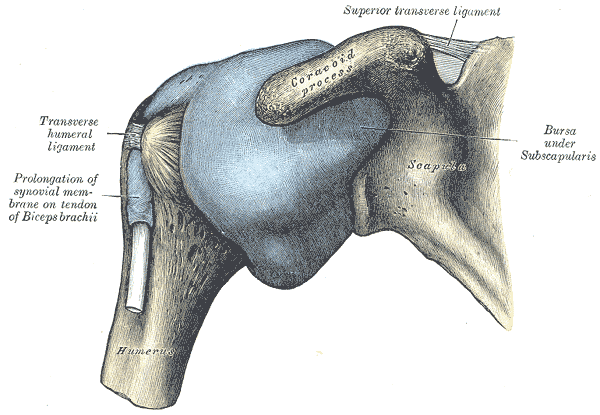 This increases the wear and tear in the shoulder joint. Further, the rotator cuffs are also usually too weak in patients who have mild to moderate shoulder strains. The job of the rotator cuffs is to anchor your arm bone to your shoulder socket (which is on the shoulder blade). 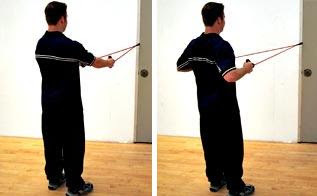 So, by firming up both the shoulder blade’s stability and the firmness of the arm’s connection to the shoulder blade (via rotator cuffs), you are improving the way the kinetic chain of the whole arm functions. Think of it as “core exercises” for the shoulder and arm. Your strength will increase and your pain will decrease. 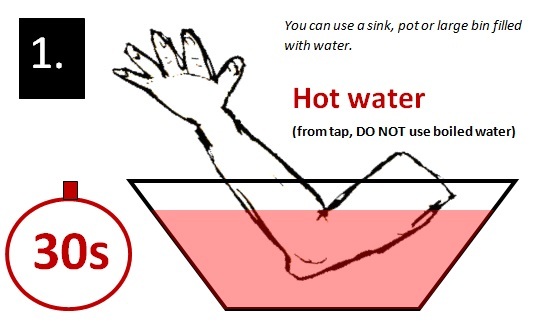 – grab theraband with hand of the affected shoulder, place magazine between elbow and side. – Head back, chest out, pinch shoulder blades together tightly. 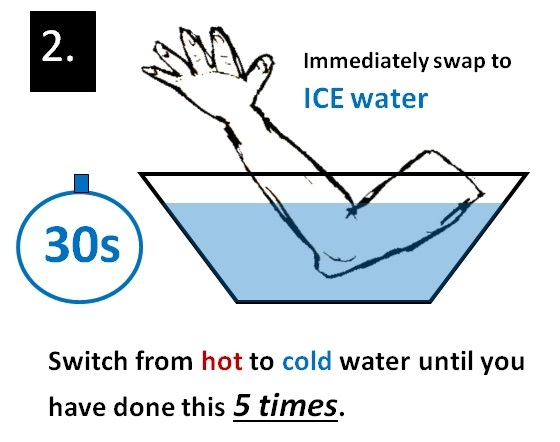 – Elbow bent 90 degrees. 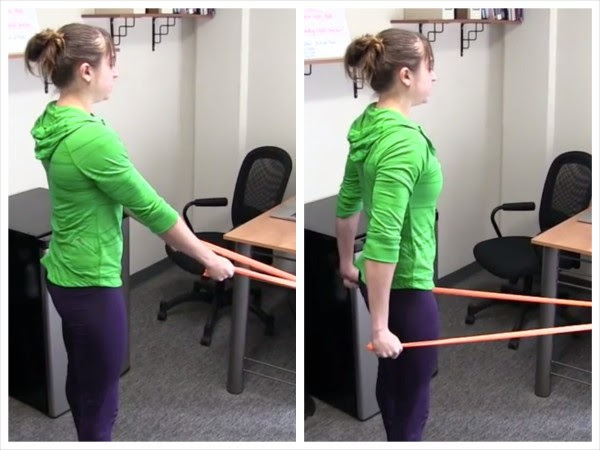 – Start position is with forearm sticking straight forward (perpendicular to theraband). 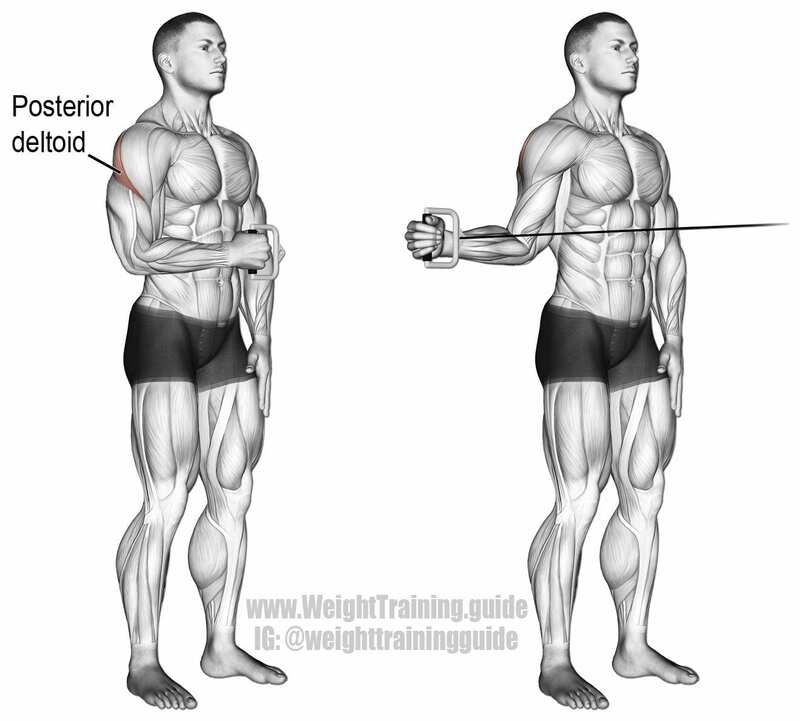 – Keeping proper form, externally rotate shoulder as far as you can. 2 set of 12-15 repetitions. do as fast as you can for 30 seconds. Rest. Do it once more. 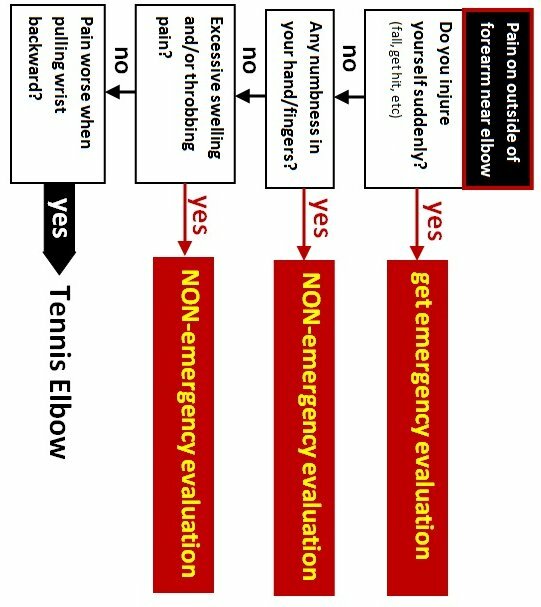 Elbow pain is a common issue with patients who play racquet sports or who have jobs requiring repetitive wrist and hand motions (e.g. : electricians, carpenters, etc). 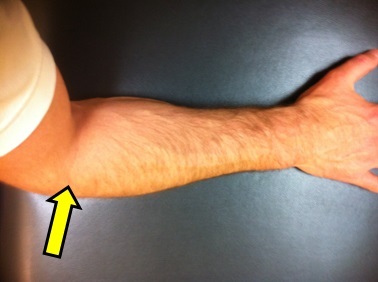 If the pain is on the outside of the arm near the elbow, you may have “tennis elbow” (a.k.a. lateral epicondylitis). 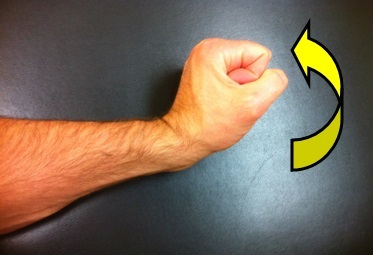 Muscles that move the hand and wrist backwards are anchored near the elbow on the lateral epicondyle. So if forcefully moving the wrist backwards (as though revving a motor bike) hurts the outside portion of the elbow region, your tennis elbow diagnosis is more likely. If one week of the above protocol does not significantly decrease pain, see your chiropractor or physio for more aggressive clinical treatment. 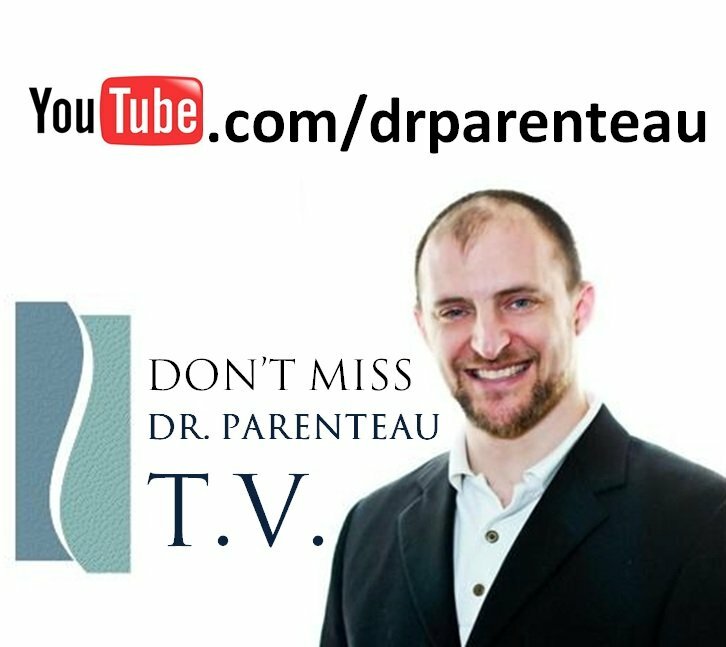 **always see a professional for significant pain, this blog post is meant to be a guide for patient education and does not encourage you to self diagnose.